Ok so this post isn’t going to be some sci-fi fantasy story for you, in which, I really did end up in New Orleans (though DUDE, that would be so cool!) Rather, I ended up at Goodtime Diner. 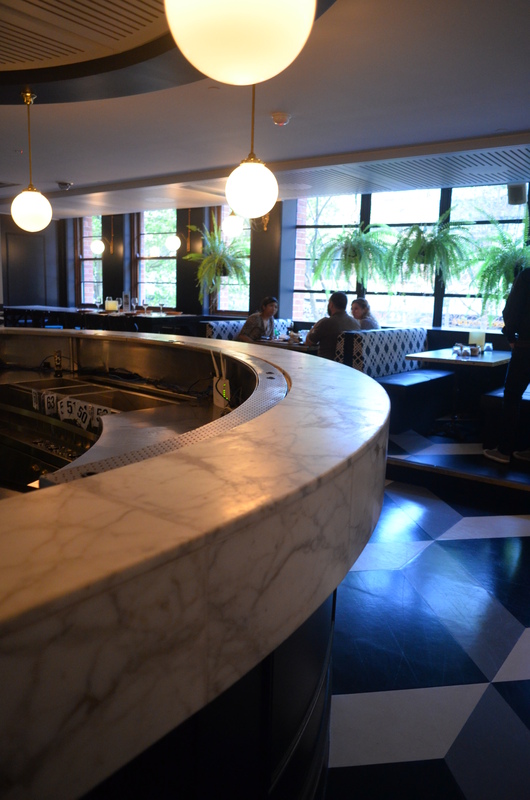 This vintage bar meets diner style restaurant is quite hidden away, almost like the vintage gritty New Orleans bars it is inspired by! You don’t actually expect this diner to be quite so large, but it continues to stretch out, past a well-stocked bar, and on all sides, you see traces of the French Quarter that the diner is also based on. You can almost here the saxophones, the tap dancing, and you can almost see the saucy grins and flirty dancing that took New Orleans by storm! 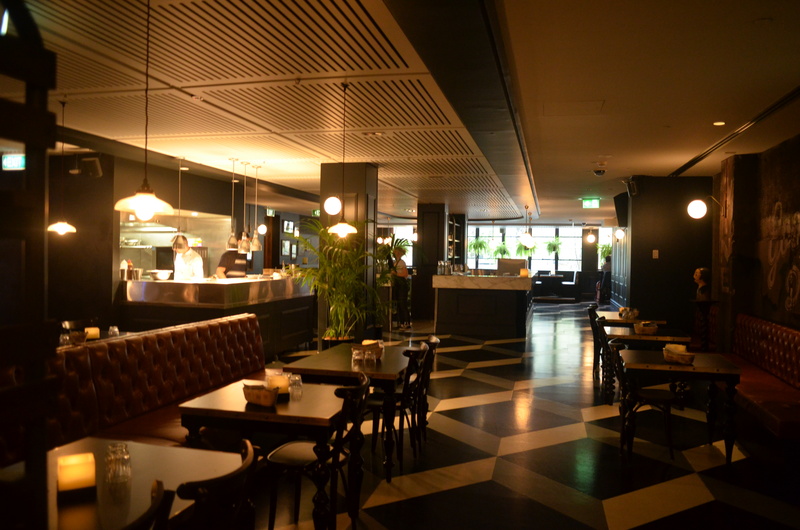 The diner recreates (what I imagine) the atmosphere would have been like very well, just by interior decoration! Besides the warm browns, and old-fashioned look, it also hosts stands of antiques and old-style radios, coke bottles, you name it, it is there! For someone like me, who has never lived in a period where there wasn’t a mobile phone, it was so intriguing! 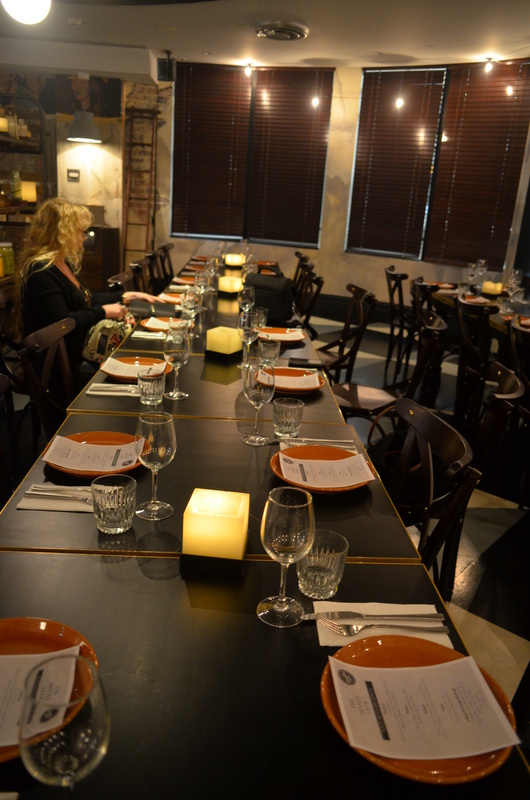 Adding to the ambience was the warm lighting (which was a bit of issue for photos #foodbloggerproblems) :P, and when I arrived at the table set up for us, it reminded me of one of those old-style banquet sets ups I have read about in historical novels. As everyone was getting seated, and enjoying themselves, the waitresses came out and politely started serving the bubbly to kick off the evening. They poured two glasses worth in one but who was I to say no right? 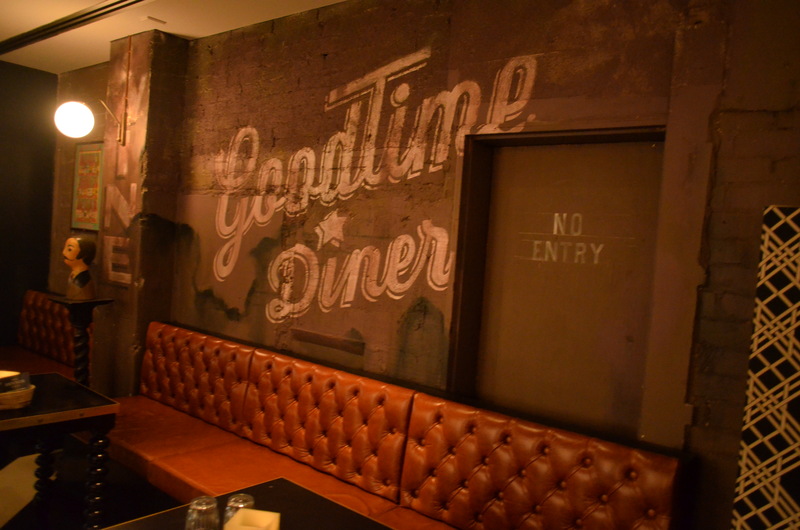 While the ambience was very New Orleans French Quarter inspired, the food was more a mix of contemporary Australian cuisine 🙂 This event was a soft launch, sampling the new Dinner Club menu at Goodtime Diner. The cheese, I honestly was not the biggest fan due to not being smoked enough, but when I paired it with the crusty toasted bread on the side, it was much tastier! They complimented each other very well! Furthermore, those nuts – I would buy them by the packet! Smokey and deliciously seasoned! 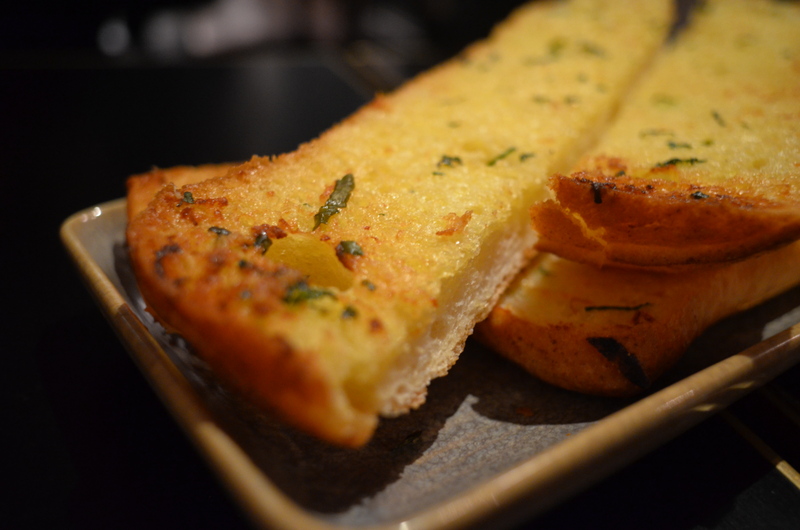 Next up, was the Garlic Bread. 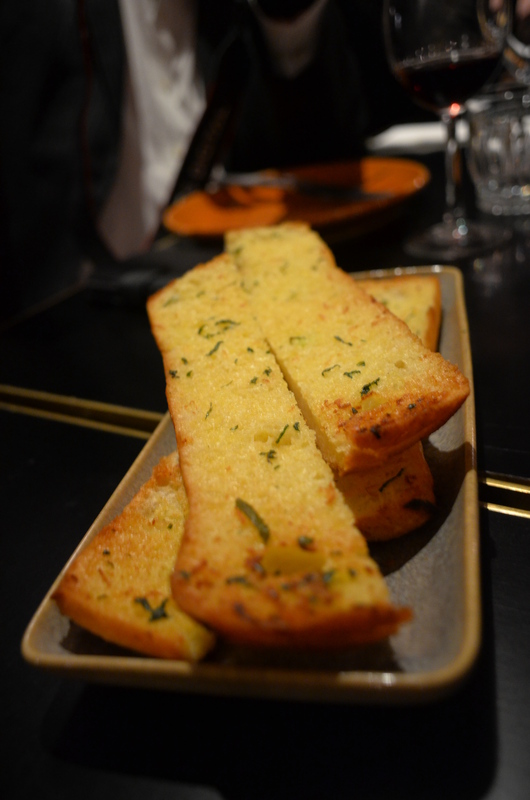 It was light and crispy, almost airy as you bit into it, and the taste of garlic wasn’t too overpowering. It was perfect and I literally could have finished the entire plate (but I behaved and shared :P) – it was fantastic! Next, as part of this soft launch event, came out the sides for the evening. 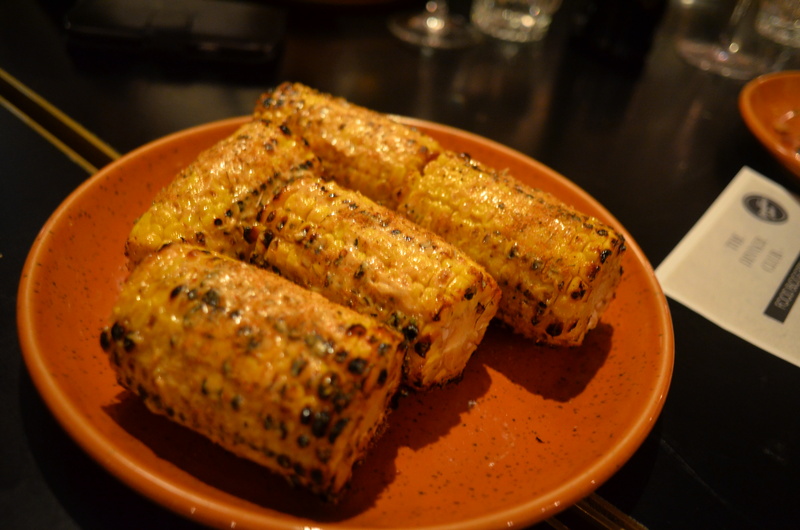 Firstly, the Charred Cajun Corn, smeared generously with butter and chilli. Even my Indian flavour for blow-your-pants-off chilli was having a bit of trouble towards the end of the corn! But it was definitely worth it! The corn was slick with the coating and juicing in biting in on it! This next dish, please, get ready for a serious bout of cuteness. Best serving presentation of the evening award definitely went to their Famous Mac & Cheese! 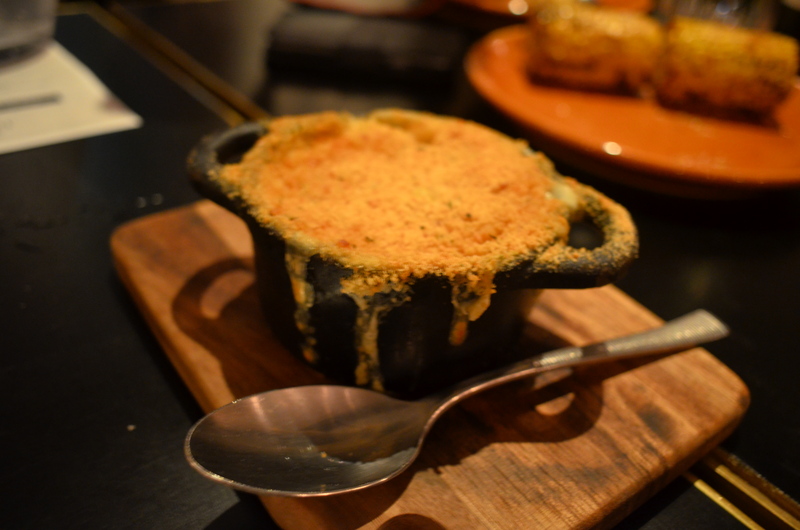 In the cutest little mini saucepan I have ever seen, no lid, this was a gourmet version of the best comfort food! 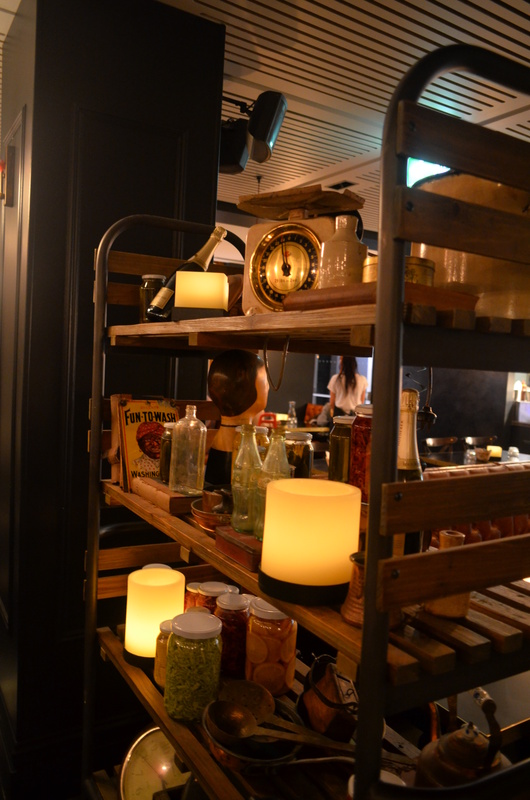 I was surprised by how rustic it looked, but it suited the atmosphere and the dish itself, since it looked so generous! It was deliciously cheesy, and addictive, but lacked a bit of salt. After sprinkling some pink salt on top, provided on the table, I literally was digging in like there was no tomorrow! First up came chocolate brownies. JOKES, I mean the 12 Hour Slow Cooked Beef Short Ribs! I think everyone fell in love just by the fact that it had been slow cooked for 12 hours, it automatically made this meat dish delicious! 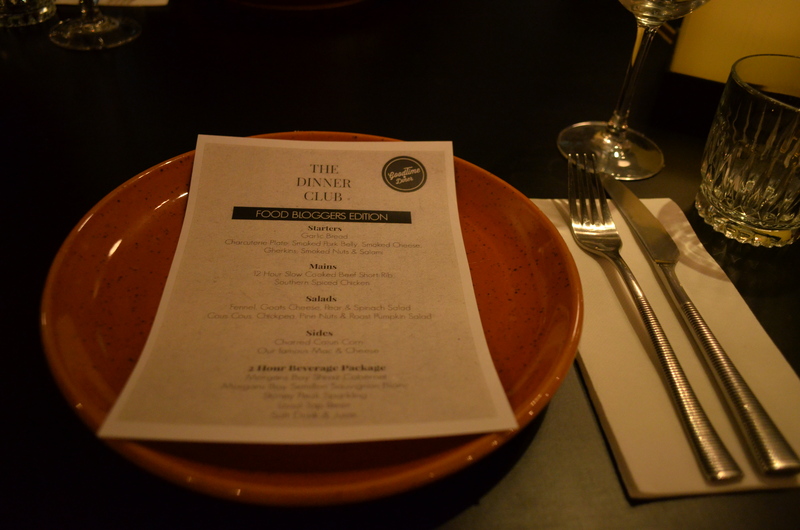 The salads served alongside the meals were definite keepers! 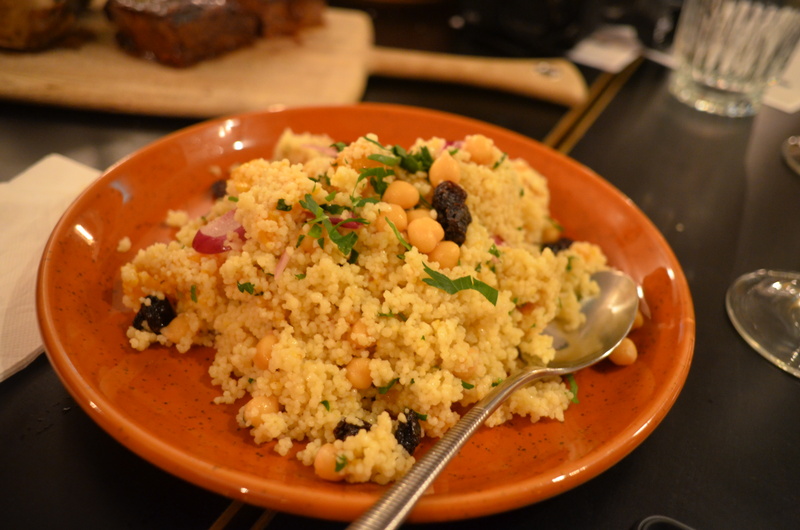 I absolutely adored the Cous Cous, Chickpea, Pine Nuts and Roasted Pumpkin salad! Some people were put off by the fact that it was served cold, but I really enjoyed the pumpkin that way! The chickpeas went very well with the dish, but more than anything I wanted to dive headfirst into the fluffiness of the couscous! 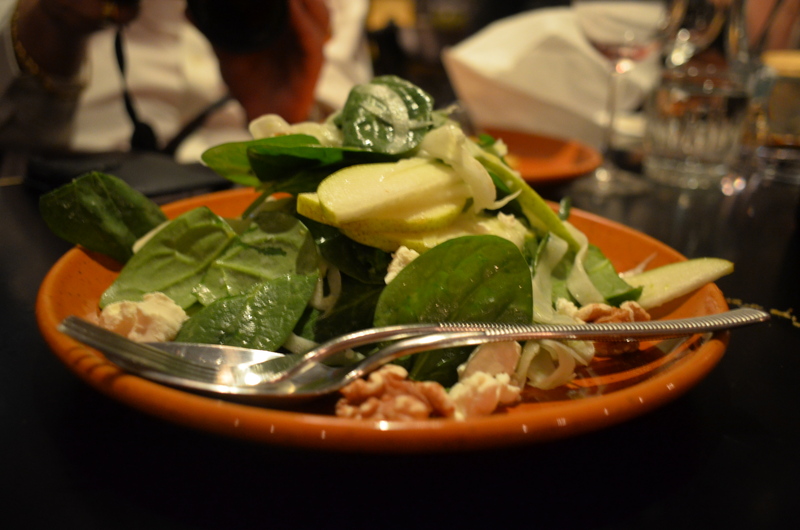 The final dish of the evening was the refreshing Fennel, Goats Cheese, Pear and Spinach Salad. I, for one, love fruit in my salads (that aren’t fruit salads… ok am I confusing you as well as myself?) so the pear with spinach is a tried and much loved combination! I didn’t really get much taste for the fennel in the salad, but the goats cheese was tangy and worked well with the lightness of the pears! Till next time mes cheris! Or actually…. till a while now! I have some amazing guest posters coming up for you, and my blog will be ‘under construction’ to fix a few things, so I won’t actually be seeing you not till December! Disclaimer: Go Bake Yourself was invited to attend courtesy of Carlos Raso Public Relations and Goodtime Diner. Any opinions expressed are honest and her own. was good seeing you that night :). loved that charcuterie plate! So cozy! And classic diner food :-)! I have to say that food tastes extra yummy with the right companies! In regardless, everything looks really good in this place. I have not been to New Orleans but I can tell its style in these food. Looks so fun! Glad you had a great time and the food looks awesome! But hahaha the ribs, i totally thought they were brownies too when i saw the pic, and was like: oh dessert was served so quick? haha! That all looks amazing! I’m a sucker for a plate of meat and cheese. Love review and the food images are just fantastic. 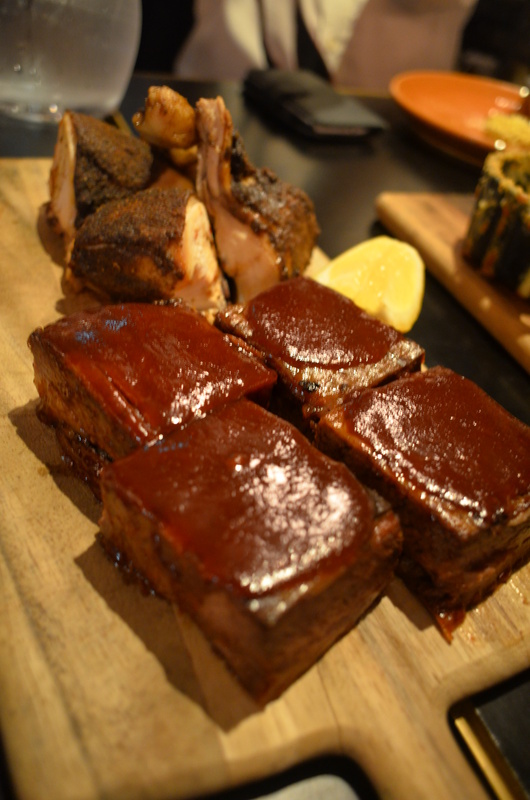 I would enjoy the ribs too … Planing to visit Australia after I done Hong Kong and Japan. I have heard and seen so much about the great food you have down under, this is something I would enjoy very much. I was in NOLA the year before Katrina and I must say that foodwise anything goes there, Even the air has calories. Haha I love that – living where the air has calories can’t be the worst thing at all no? Uru, everything sure looks great…I am glad that you enjoyed it! Wow, some “diner”!! I think if they came to NYC, they wouldn’t call themselves that! ha ha. The food looks and sounds amazing! Too good for a diner! Oh goodness. Honestly, I want to eat every single thing here. My belly is growling for this. It looks like the food definitely rocked this eclectic diner, you really scored on this one. The bubbly doesn’t hurt either. 45 minutes would be a little far for me, but it could be a great brunch place and do a little shopping afterward. Hi Uru, looks like you all had a great time. Good luck with your construction and exams! Lovely restaurant Uru and the dishes look absolutely mouthwatering! Mmmm that cajun corn!! OK i want all of this! Loving the sound of that corn! What a great restaurant! The spinach salad looks terrific, and the 12 hour beef sounds amazing! You seem to find some pretty amazing places to eat and this looks like one of them. As for New Orleans, they do have some pretty incredible places to eat & the entertainment is wild, to say the least. Love all that tasty food! Looks like you had a great time!! 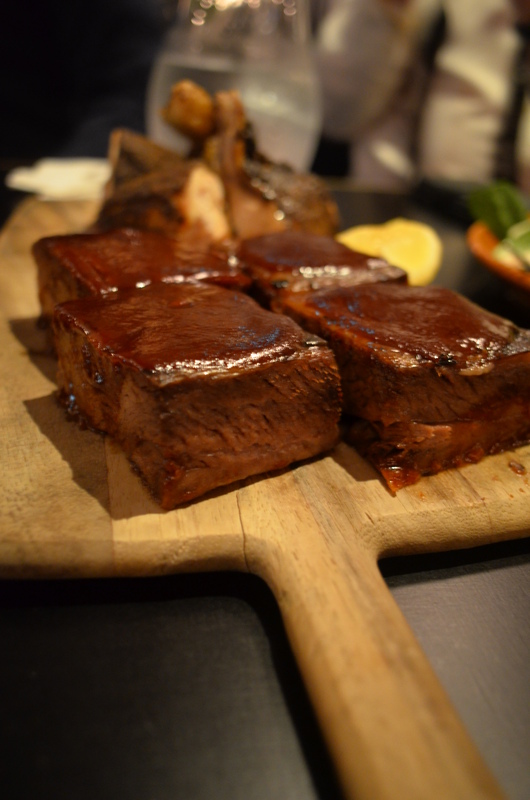 The beef short ribs… looks too delicious to be real! Wow, looks like a great visit. 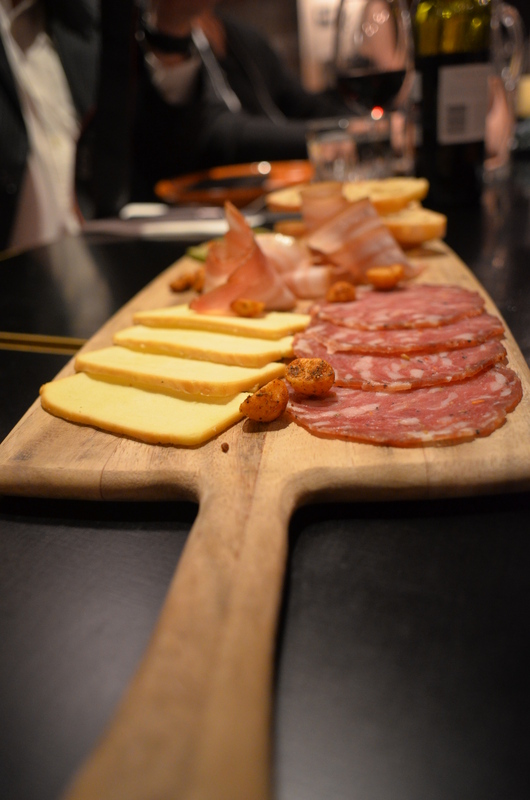 I love a nice charcuterie plate–okay along with everything else you had! Fun decor! Diner food can be wonderful and this one looks like a winner! Boy, I like the interior, too! 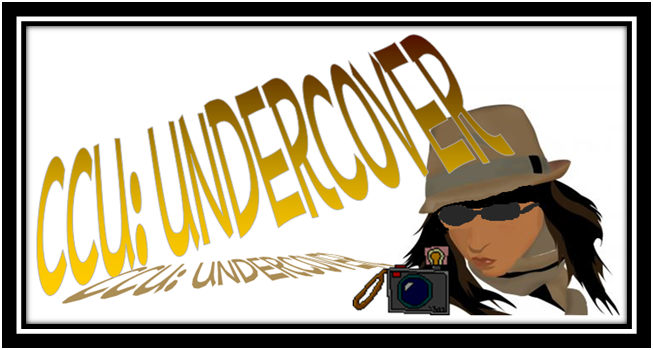 Great find, Uru! I love that corn!!! Wonderful meal and great ambience! That looks like one cool place, Uru! 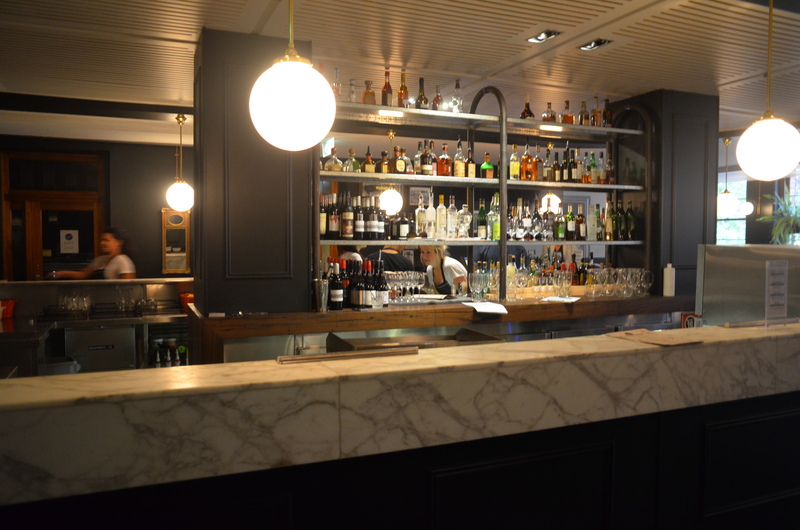 I absolutely LOVE the floor and that bar! The food sounds pretty tasty too but I wouldn’t say it was inspired by New Orlean’s styled cooking either. However, everything looks and sounds yummy!!! Another tempting dining experience. I drooled a little when I saw that corn… YUM! 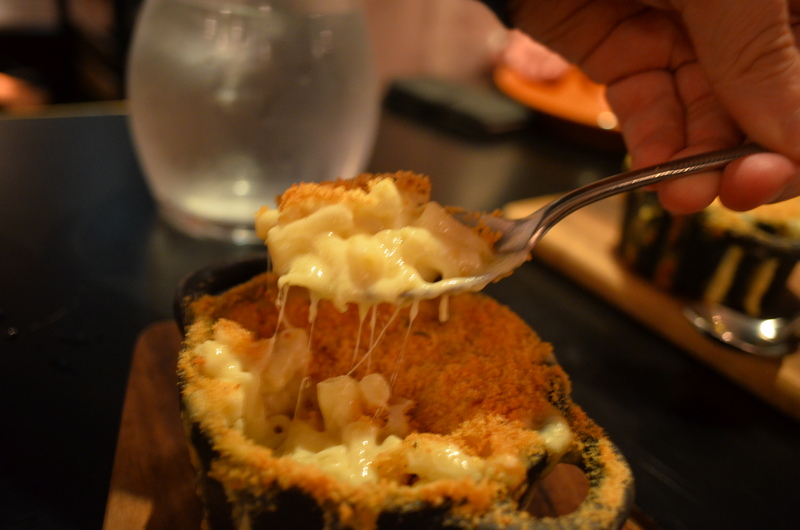 Who can resist a good Mac and cheese..that too one that is served up in a moreish cute saucepan! Good luck with the exams Uru! Why do they call things New Orleans inspired if it isn’t? Hmm that would annoy me if I went expecting all this delicious NOLA food and just got modern oz food. Well I guess I was expecting a New Orleans ambience not the food but yes, it can be a little misleading! What a fun diner and that food…it all looks scrumptious! I’ll take a platter of that garlic for sure! Maybe this is a lame thing to say, but I’m loving that ambiance. It looks both elegant and cozy, and that marble counter is just a stunner. I guess I’ve been location scouting for portrait photography for too long! Haha not lame at all! I loved the ambience too – I look forward to seeing your portrait photography on your blog! That mac and cheese is such a stunner. Love the oozy cheese on it. love these places you keep visiting and writing about. I really should do that more often because the food just looks so good. Sounds like lots of fun as well. Thanks for sharing. 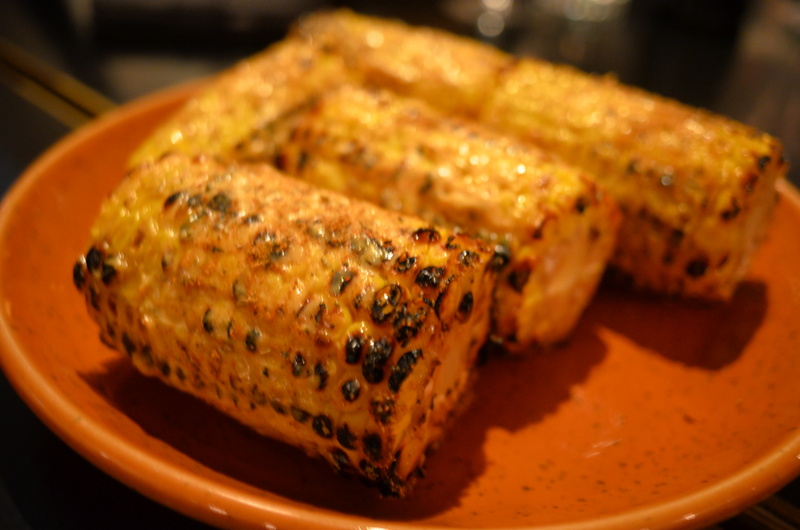 Those charred corns look marvelous! The presentation was quite lovely! Ooo, I would love to have joined you. Everything looks scrumptious. I wish I lived closer so I could go back to New Orleans, culinarily speaking. Looks like a good time. Looks like you all had a great meal! I love my smoked cheese really smoked too! That mac and cheese looked so good! When the beef came to the table, I also thought for 1 min that it was actually a brownie…! I love mac and cheese – it’s such a comfort food! G’day and what fun eating together! Great foods Choc Chip Uru! Wish I lived closer so we could chat and eat together too! The food looks incredible. That place looks much nicer than most places I’ve been to in NOLA, some of the best food I’ve eaten was in New Orleans. Looks like you did a great job coz my photos turned out pretty crappy coz of the lighting. My favourite was the garlic bread and mac and cheese. So lovely to have met you too. Haha me too, I still remember the crispness of that bread! I was lucky, my lighting was quite good, I’m sure your lighting was just unfortunate because your photos always turn out wonderfully! Sounds like a fun place! Good luck with your exams — we’ll miss you! Good time for real, the food looks finger lickin good! What a great place. I adore Cajun style food, and just look at those ribs! Yum. that restaurant looks incredible! love the NOLA atmosphere and the food looks so delish! I haven’t been in New Orleans in too many years to be able to compare the ambience other than that it was dark in all the bars/restaurants I went to, but the food definitely wasn’t N’awlins inspired. 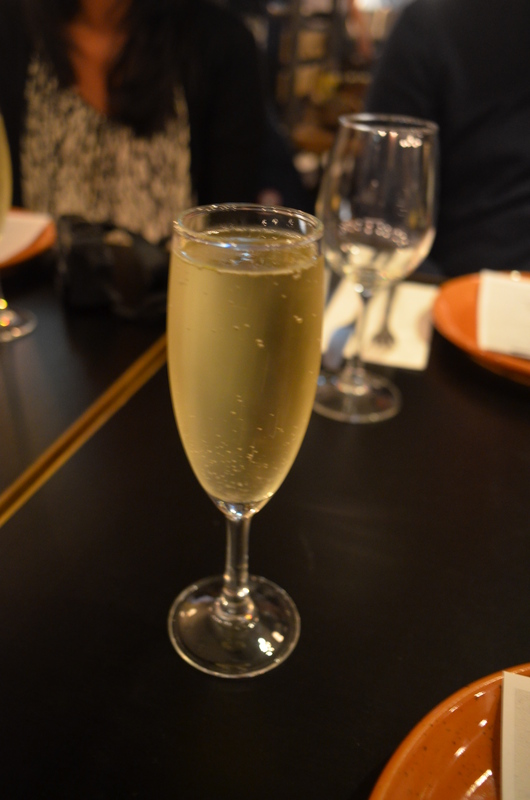 It all looked delicious though, and any meal that starts with a double serving of champagne is a winner in my book. I agree the food wasn’t but the ambience seemed spot on! Haven’t been to New orleans myself but from what I have heard from friends, the bar scene rocks!